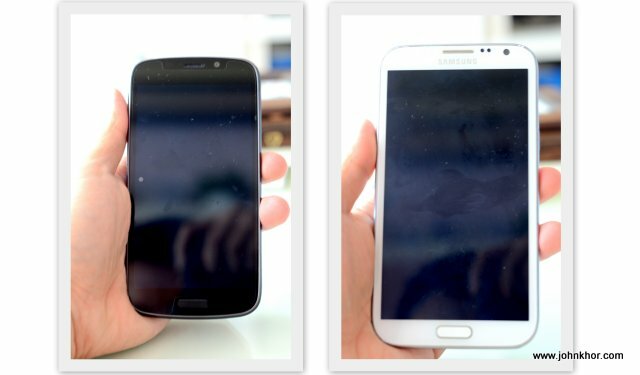 [Tech Kaiju] Ninetology U9X1 VS Samsung Galaxy Note 2 - Simple Comparison! 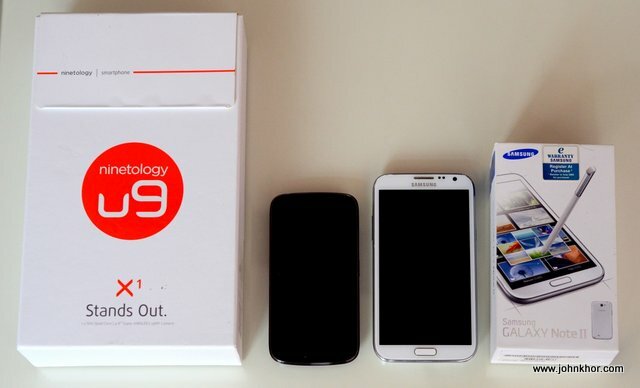 [Tech Kaiju] Ninetology U9X1 VS Samsung Galaxy Note 2 – Simple Comparison! Two weeks ago, johnkhor.com had the opportunity to review Ninetology high end smartphone series, U9X1. 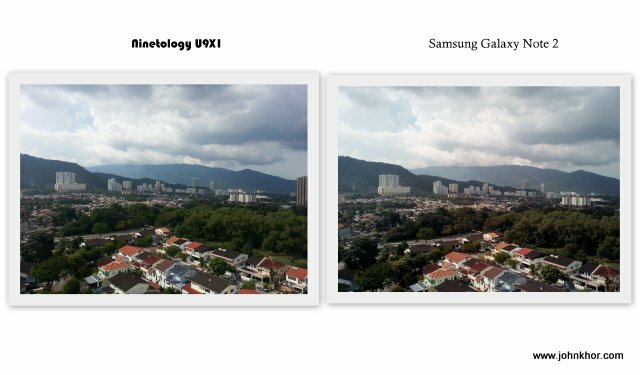 And Ninetology asked me to do a comparison with my current phone which is Samsung Galaxy Note 2. Well this is actually not a very fair comparison to compare a mid-range smartphone with a high-end smartphone but this comparison will at least let you, yes, you, the potential buyer who are looking for information about this unknown yet attractive phone model and brand some key points to note before you decide to splurge RM1K++ for this Ninetology U9X1. Yes, for all the specs, the phone is only RM1,099. 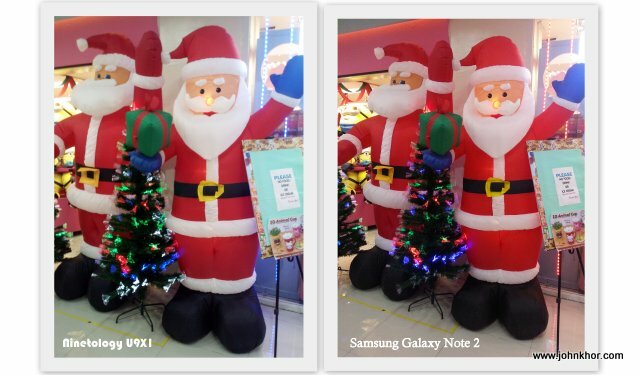 After sharing about U9X1 specs, now let the comparison between Ninetology U9X1 and Samsung Galaxy Note 2 begins. 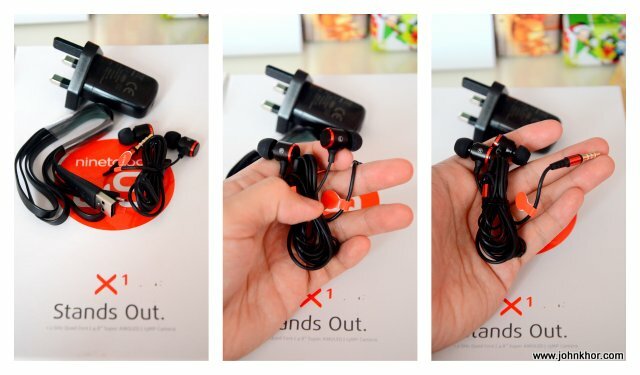 I will be comparing only the photo quality and the packaging and also some comment after using the phone for a week. Ninetology definitely wish to make an impression for their buyers. 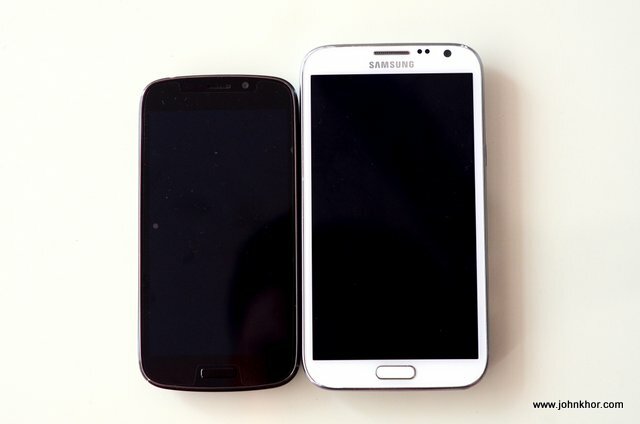 You see, even though Note 2 is way bigger than U9X1 but the U9X1 box is way bigger than Note 2. And the design of the box is simple yet striking with its red color. Ninetology sure knows how to make its buyer feels worth it since they are getting something so big. 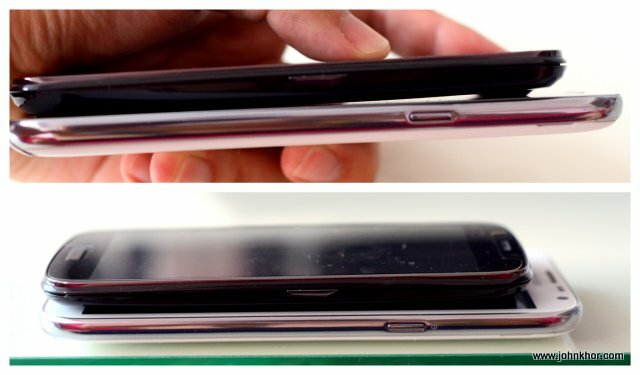 😛 Whereas Samsung Galaxy Note 2 design is also nice and the standard for nowadays. 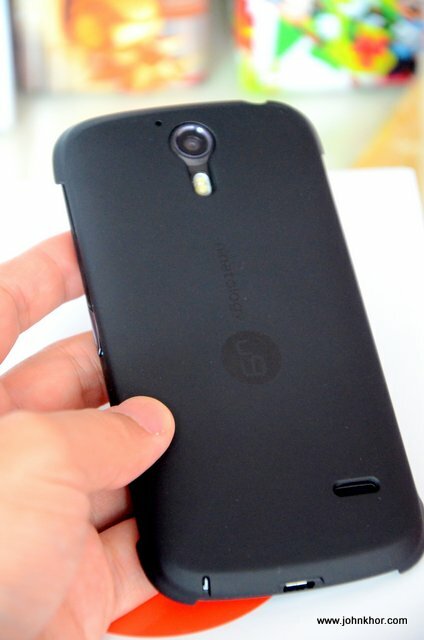 And one thing that will make buyers happy is that Ninetology provides a casing for their phones. This will definitely please the buyers since they do not need to go out and spend for another casing and they can use it right away. This is the right move. Hopefully Samsung will do the same also for their phones. U9X1 fits well on my hand and whereas Note 2 is a bit too big for my hand. 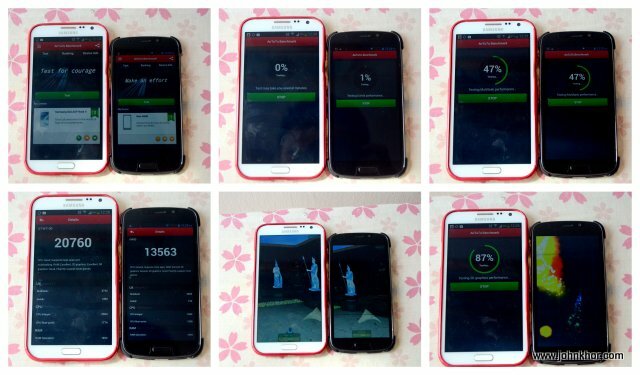 Through Antutu Benchmark Test, as expected Note 2 wins! Well, sometimes numbers are quite deceiving. 😛 U9X1 is using MediaTek processors. Now, the last part is the photo quality. 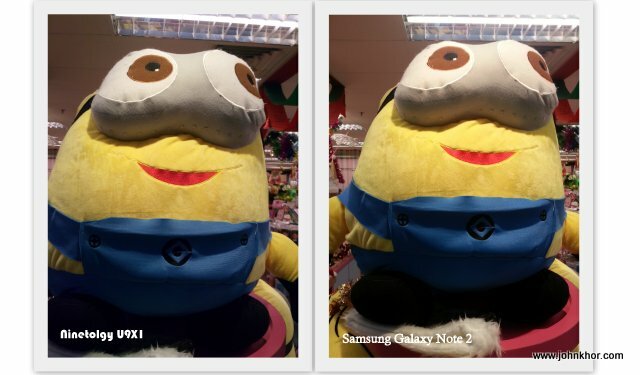 Indoor wise, Samsung Galaxy Note 2 has some edge with its slight more saturated colors. 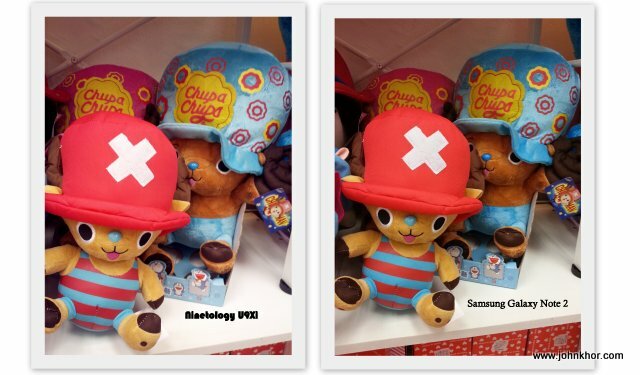 Inside a store, Note 2 seems to be able to capture more light but the quality of both pictures are almost the same. 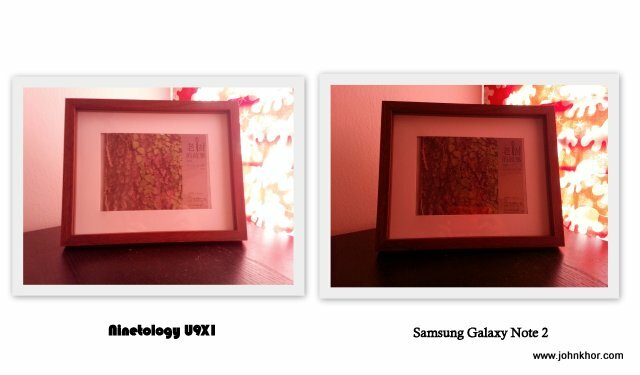 In a very dim lighted room, U9X1 stands out with its Aperture 2.0 and aspheric Lens capturing better lighting compared with Note 2. I am always disappointed with Note 2 low-light performance. U9X1 operates Android 4.2 and Note 2 currently is running Android 4.3. Ninetology does not bloat the operating software and it quite vanilla whereas Note 2 is a bit bloated. Although bloated, Note 2 does have some cool features such as swipe print screen and others. U9X1 and Note 2 speed and smoothness of usage is comparable. I am actually a member of Tech Kaiju, an initiative of Ninetology for bloggers and its subscribers. Do subscribe their newsletter to get the latest information such as promotion, contests and prizes from Ninetology. 🙂 Click the banner below for more information. If you are a blogger, you can click the banner and join their bloggers review program. Previous story Gartien Pineapple Cake with 2014 Chinese New Year Theme!